On October 19th Jon Cruddas delivered the Aneurin Bevan Memorial Lecture, entitled ‘Taking back the Big Society”. 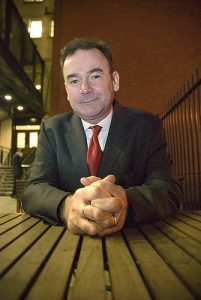 The text of the speech is available at Liberal Conspiracy here and if you’ve ever heard Jon Cruddas deliver a speech live you can almost imagine how he would have delivered it (I wasn’t present at the event itself). I like Cruddas, and he’s one of the most thoughtful politicians Labour has in its ranks. But the speech he delivered showed an awful lack of forward vision. In short the speech was fit for 1990, not for 2010. For me there are two aspects to the Big Society, as defined by David Cameron and the Tories. The first (and alarming) aspect is the notion that society can in essence take over roles previously carried out by the state – essentially getting third sector (and often religious) groups to run services previously provided by the public sector. Against this process the Labour critique must be robust. Conversely, there is a side to Big Society rooted in social entrepreneurship (some of it online) that Labour seems to have largely failed to grasp, and doesn’t even warrant a mention from Cruddas. If the Tories take this seriously enough to take on Tom Steinberg as an advisor then Labour has lessons to learn (and those lessons are more profound than just criticising Tom). Government itself would never have dreamt up Fix My Street or even The Open University – the latter often now cited as an example of a radical policy of the Wilson administration, but actually the brainchild of Michael Young, the foundation bearing his name being one of the cornerstones of social innovation in the UK today. Beyond that, the Cruddas speech makes no reference whatsoever to how society is changing, and, importantly how technology is changing society and politics. As Clay Shirky documents so comprehensively in Here Comes Everybody (on Amazon here) our capacity for collective action – for good or bad – is irrevocably altered thanks to the net. Unpaid volunteers can build an encyclopedia, angry passengers can organise against the airlines, and a journalist and a blogger can organise to raise £154000 and change the face of atheism in the UK. In essence for me no coherent vision of the future of the Labour Party, indeed any progressive party anywhere in Europe or beyond, cannot be divorced from the debate about how the internet is profoundly changing the way our societies work, the way we organise ourselves. It’s about time the leading intellectuals in Labour started to understand that. A bit harsh, Jon. What you say is mostly valid but you are not taking into account that a lot of people Jon C is saying Labour needs to reconnect with don’t even have access to a home computer let alone the internet and everything associated with it. In my opinion, technology is there to enhance face-to-face real and human communication not replace it. Sorry but – statistically – I don’t think I agree with you. 69% of UK households had broadband in 2009, 77% had an internet connection. 76% of the population use the net once a week in the UK, 60% use it daily. All the stats from the EU’s 2009 ICT country profiles here. 28 million Brits have a Facebook account – see CheckFacebook and click the UK. Many of them are young, and the young tend more to vote Labour. You’re telling me those people are not relevant to the future of the party? Beyond that, the very groups that Cruddas makes reference to – the English Defence League, and the BNP – have actually been very effective at networking online, because they have not received coverage from the mainstream media. You’re right in that technology should be a means to enhance real human contact, and there is nothing whatsoever that I have written here (or indeed I actively do online) that ever goes against that. I do however absolutely stand by what I’ve written – any vision of the future of Labour, the future of organisations, how politics and society functions needs to be seen as part of the networked age. That is by no means to the detriment of other values, of other means of campaigning, but to completely exclude any reference to this from a speech of this nature shows a disturbing narrowness of vision.